Come on, help the guy out! There is no doubt about it Boston Bruins' Patrice Bergeron is an all-star. 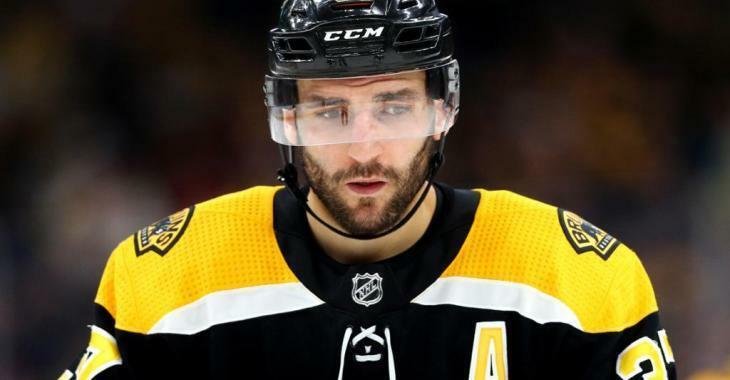 There is no surprise in the fact that Bergeron is Boston’s selection for the first-ever Last Men In fan vote, in which fans can vote for the final player included on each division’s All-Star roster. However, here's the shocker: he doesn't want you voting for him. The Bruins' veteran forward told 98.5 The Sports Hub’s Toucher and Rich Wednesday morning he would prefer fans not vote for him at all so he can use the time off to rest with his family and his new baby boy. Bergeron’s wife, Stephanie, gave birth to their third child on Dec. 2, 2018. On top of having a new baby to take care of, Bergeron has already missed 16 of Boston’s 43 games due to injury this season and could benefit greatly from the break. Despite the injuries and missed time, the 33-year-old has put up 38 points and is on pace to blow his career high of 73 points out of the water. Bergeron is not the only Bruin on a roll, as Boston kicked off the new year with an impressive streak. The Bruins will nee seeking their sixth straight victory on Thursday night against the Washington Capitals. So, help the guy out and do not vote for him. The NHL All-Star Game Last Men In vote is open through tonight and fans can submit up to ten ballots per day... No matter how much you'd love to see Bergeron at the event, just help him make his wish come true so he can stay home with his newborn son.